While looking for a small and light travel tripod I put together a spreadsheet of tripods would meet my needs. I have not used all these tripods, and don't pretend to know what is the best for each situation. This subject comes up over and over again on Usenet, so I thought that posting this spreadsheet might be helpful to others. Again, this is simply a collection of specifications, intended to spare others the need to compile the same information. If there is something I left out then please let me know (for some reason a couple of people in rec.photo.equipment.35mm are extremely upset that I compiled this list). There is another web site on this same subject: http://members.bellatlantic.net/~vze2gkrc/Tripod-Test.doc . I like his recommendation of the Chaser EFL-4. I would probably violate my own criteria and upgrade to the PH-273 head, which would add 190 grams over the PH-273 head. 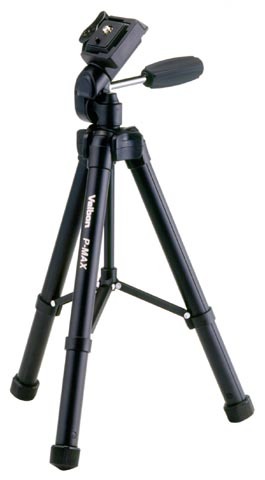 One interesting contradiction is that B&H states the PH-243 Ball Head has a weight capacity of 3 pounds, but the two Velbon tripods that come with this head have higher loads. Actually, Velbon doesn't specify loads for their heads separately, you have to find it out other ways. If small size and low weight are your top priorities then get the Velbon Maxi 343e. 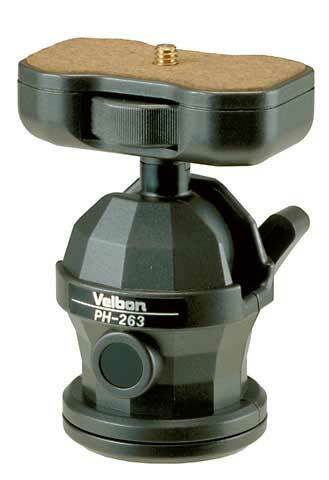 If you want something a little more stable, that can handle a heavier load, then get the Velbon Chaser EFL-4 with the PH-263 or PH-273 ball head (if you're willing to deal with the extra weight). 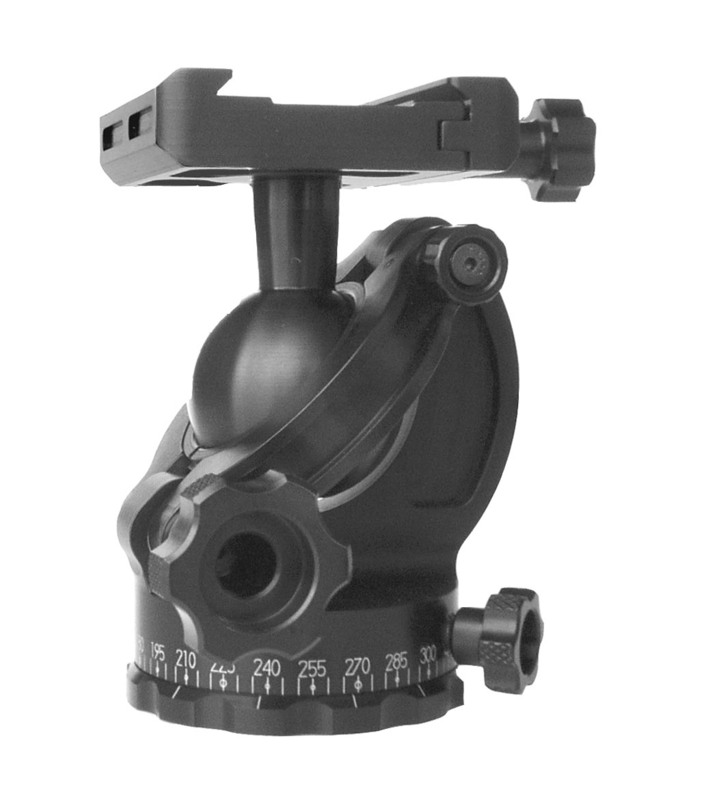 Or even get the Acratech head with the Velbon Chaser EFL-4. If you simply must have the best, regardless of cost, and still stay under 4 pounds, get the Slik 804 with the Acratech ball. Note: Gitzo was not listed because the Gitzo 1228 plus the Acratech ball weigh more than 4 pounds. It would certainly be possible to pair the Gitzo 1228 up with a lesser head in order to come in at or under 4 pounds. Light tripods are inherently less stable, especially in windy conditions. 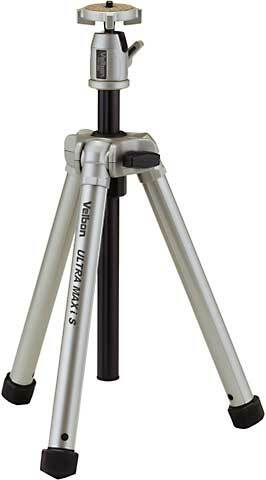 Adding weight to the tripod in the right place can make a lightweight tripod as steady as a heavier one. Don't make the mistake of hanging a weight, such as your camera bag, onto where the three legs come together (this will decrease stability, not increase it)! You want to add weight as low as possible. Some ideas: Bring three 1 liter leather bota bags with you and fill them with water. Tie one onto each leg, as low as possible. This will add 6.6 pounds (3 kg) of weight, right where you need it, without you having to carry anything too bulky. Or bring three lightweight small stuff sacks and fill them with rocks or sand and then tie one around each leg. Adorama and B&H usually have the best prices but the Velbon 343E and 347GB are usually least expensive in Henry's eBay store. Go onto eBay and search for 343E or 347GB. There are usually some auctions with "Buy it Now" with the 343E for $74.50 and the 347GB for $82.50. Auction prices for new 343Es from Henry's eBay store have been from $60-69 (I paid $68). Note that for some reason Adorama does not carry the Manfrotto 719B. It is best to avoid all NYC mail-order camera stores other than Adorama and B&H. Beware that many NYC stores try to hide their location by not prominently displaying their address on their web site (if at all). Usually you can find a non-toll-free number with an area code that will let you determine the location. If you are buying from Adorama it would be greatly appreciated if you use my Adorama Affiliate Link (these links help pay for my web-hosting service for all my non-commercial informational web sites which can be seen at http://www.nordicgroup.us/hosted.htm). I'm sorry if the inclusion of this link upsets some people. I don't make a living from this; I've made about $65, ever, from all my affiliate links combined! If you have used these tripods, particularly the Bogen 719B or 724B or the Cullmann Jet Set, please send me a review and I'll add it to the site.